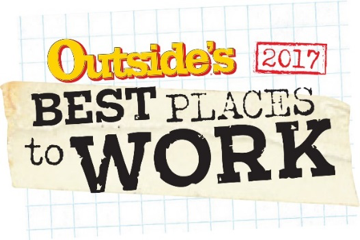 Boulder, CO (November 7, 2017) – Creative Alignments announces they have been selected as one of Outside Magazine’s Best Places to Work for 2017. The companies selected by Outside for this honor are not only great workplaces, but also encourage a balance between work and an outdoor lifestyle. Headquartered in Boulder, with offices in Denver, Austin, and Chicago, Creative Alignments provides pay-for-effort recruiting in the tech, food, CPG, professional services, manufacturing, and creative agency industries. This is the tenth year of the Outside Best Places to Work competition; companies from across the country participated in a rigorous two-part survey process, and were also evaluated based on workplace policies, practices, philosophy, systems and demographics. Creative Alignments (CA) is a disruptor in the recruiting space, using a time-based, cost effective model to create a flexible talent partnership with our clients. As opposed to traditional percentage-of-salary firms who may push candidates for pricey fee-based windfalls, CA aligns with growing companies to tap exceptional talent while saving money with our transformative, pay-by-the-hour process. Our sophisticated senior team recruits across all functions in the technology, food & consumer products, professional services & manufacturing industries. Reinvent your recruiting by contacting Creative Alignments at www.creativealignments.com or call 888-502-8944 to learn more.